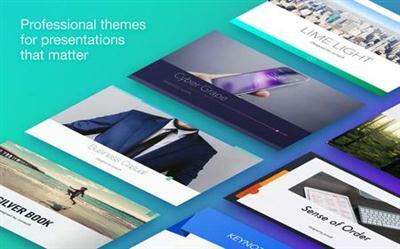 Each theme includes at least 32 master slides - a mix of bullet text and photo-oriented layouts. The layouts are polished and modern, with custom bullets, matching tables, and easily readable charts. All photo slides feature media placeholders to crop a placed image neatly into a custom shape.